Schezwan fried rice is an easy and perfect Chinese dish to make for lunch or dinner with minimal ingredients. Now you can bring home your favorite Chinese restaurant easily. 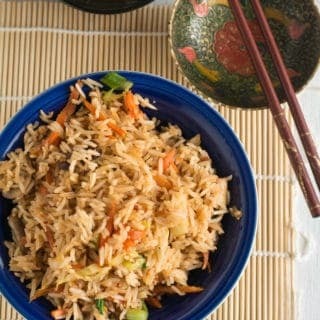 This Spicy Schezwan fried rice is one our favorite rice that we order from our Chinese restaurants. As they are spicy to meet up our Indian taste buds. Like this Szechuan noodles, this rice is also one of the most important dishes I make frequently at home when we decide to go for Chinese menus. This recipe is very easier to make, all you need is the Schezwan sauce, there are tons of readymade brands available in the market. Which you can store the leftover in refrigerate for later uses. Or you may also use this homemade Szechuan sauce. The making of this sauce at home requires few ingredients which you may have it in your kitchen already. I always try to share easier recipes and this fried rice is one of its kind. To put the process in simpler and single line, saute garlic and vegetables add rice and sauce. Mix and serve. And how easy is this right? Hibachi Soup would be the best recipe to be paired up with. You may use ready-made or homemade Szechuan sauce. To make perfect fried rice, refrigerate the rice for about 2-3 hours before making fried rice. The better and easier option would be to cook the rice and refrigerate it in the previous day. Which also cuts down half of the processing time in a day. The vegetable should not be cooked completely, it has to sauteed in high flame, to make it crisp. On a contrast to this spicy rice variety, you may also try Mild sweet Kashmiri Pulao if you are searching for other exotic recipes for lunch. In a pan add cooking oil, followed by a 2 tablespoon of chopped garlic. Add all the thinly sliced vegetables, flash fry them in high flame. Stir it continuously. Saute for a couple of minutes or until the vegetables slightly changes its color. Add Szechuan sauce and cooked rice. Stir them gently until sauce, vegetables, and rice combine well with each other. Serve hot with ketchup, soy sauce or Szechuan chicken. 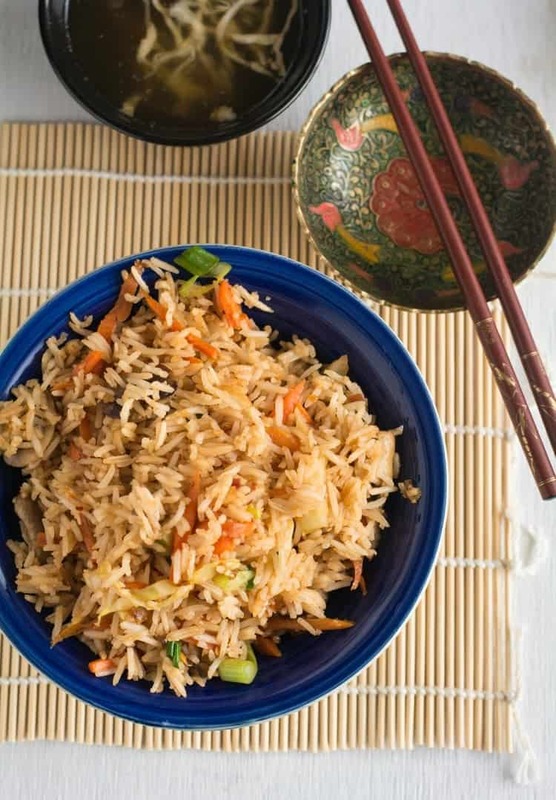 Schezwan fried rice is an easy homemade Chinese recipe made with vegetables. Learn how to make this restaurant-style recipe with step by step pictures with few ingredients. Now you can bring home your favorite Chinese restaurant effortlessly. In a pan add cooking oil, followed by a 2 tablespoon of chopped garlic. 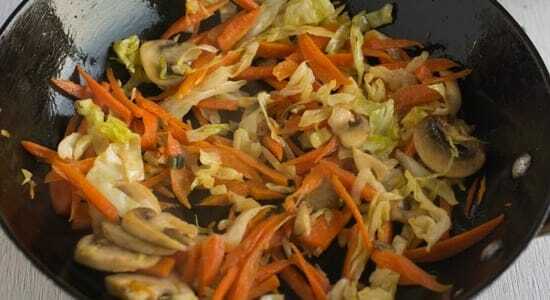 Add all the thinly sliced vegetables flash fry them in high flame, by stirring it continuously.